The Prime Signature is the next step up from the Prime, which took the world by storm 2 years ago during its initial release. It features an upgraded JMW 10-3D Reference arm in a “metallic black” gloss finish with Nordost Reference wire. The chassis consists of an aluminum plate sandwiched between a composite material for improved damping. Due to the additional weight of the table, we upgraded the feet to our Classic Signature feet. In addition, both the motor housing and all Delrin posts and armboards were upgraded to a heftier stainless steel. 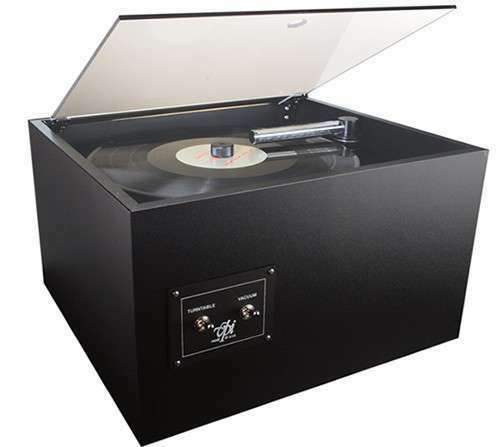 Three things distinguish the Prime Scout from the Scout: an apparently larger, curvier plinth; a platter machined from aluminum rather than acrylic; and a better-executed, better-finished tonearm."